In contrast with Brexit Anxiety, Peak Brexit is a joyous, Zen state of oblivion. If Brexit has done anything, it has cemented just how different we and the English actually are, divided “by a common language”. We are different politically, emotionally and culturally. Without Brexit, I can focus on the important issues of State, such as the momentous news, announced on the same day as Mrs May’s latest deal was defeated, that Sheridans Cheesemongers has won Best Cheese Shop in the UK and Ireland. This is the first time an Irish cheese shop has been successful at these awards,organised by the UK-based Guild of Fine Food. But when you dig a bit deeper, could there be something more profound revealed by the cheesemonger’s success, something that tells us about the difference between modern England and Ireland? What makes this cheese news so striking is that Sheridans Cheesemongers won their coveted prize for their shop in Dunnes Stores in Cornelscourt. Not so long ago, had you suggested that Irish punters would be buying their finest Stilton, Cashel Blue, Gubeen or Gortnamona in Dunnes, people might have laughed at you. That carry-on was only for the likes of Avoca Handweavers or the artisan shop up the road. Dunnes, in contrast, was the home of St Bernard, whose “better value” used to “beat them all every day”. My memory of Cornelscourt was the massive weekly family shop on a Thursday night, with maybe a giant bag of discount Penguins thrown in if you were lucky. 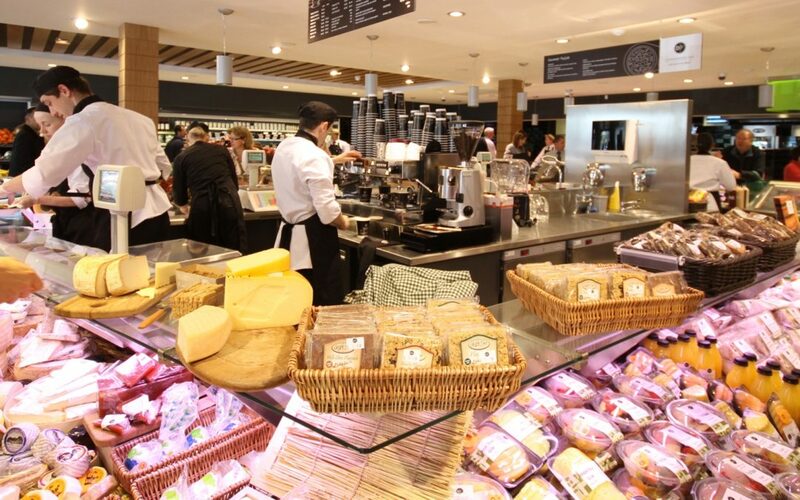 But things have changed and the “artisanisation” of Dunnes – with fishmongers, upscale coffees and speciality cheesemongers – reveals more about the state of modern Ireland than we might care to admit. In fact, it may hold the key to our Brexit differences. More on that later. Regular readers will know that this column puts as much store in breezy evidence from everyday life as it does on hard data published by economic institutes. This is why brand planning is so interesting because brand strategists from major retail operators tend to have their fingers on the pulse. They can spot societal developments well before the “boffins” in research institutes. So, when a big firm like Dunnes changes strategy, it is worth taking a look. A few years ago, I noticed that Dunnes – traditionally the shop of the lower middle class or working class – was going upmarket. They were aiming at the educated class, understanding that one of the biggest societal changes in Ireland in the past two decades has been the dramatic increase in third level graduates. When it comes to grocery shopping, the educated like the artisan. The educated class want a story. They want a connection with the product, so they can tell themselves and others something about the provenance of the product. Dunnes figured this out. They distanced themselves from the strategy of using price/value, ceding that ground to Lidl and Aldi who have firmly established themselves in consumers’ minds as the cheap supermarkets. Rather than seeking to differentiate themselves on price, Dunnes has capitalised on their Irish and earthy narrative. For example, they started partnering with Irish artisans like Sheridans. The company also changed its tagline from “Simply Better Value” to “Simply Better”. This has been complemented by collaboration with Sol coffee, James Whelan Butchers, Sheridans Cheesemongers and health food outlet Nourish. The appearance of rustic artisan butchers and cosmopolitan cafes within their stores is an essential part of the makeover. On Thursday, I walked into a Dunnes shop and was met by stacks of oranges in wicker baskets with straw, as if I had just picked and stacked them myself in some Andalucian grove. Then there was the fresh Irish organic beetroot, the Baxter & Greene deli, and of course Sheridans. It was more farmers’ market than supermarket. But that’s the intention. Artisanal Dunnes is Middle Class Dunnes. But Middle Class Dunnes is not a niche; it is the most successful grocer in the country, with 26 per cent market share. In Ireland, the Middle Class is the norm. Contrast this with UK shopping habits: Waitrose, the upmarket supermarket, like the new Dunnes, has only 5 per cent of the market. This is the story of Ireland. In a generation, the middle class has become much, much bigger. The proportion of people dwelling in this vast middle ground, with incomes between two-thirds and double the national median (ranging from about €24,475 to €73,426 in 2010), has surged to 70 per cent of the whole country. Pew reveals that out of the 11 Western European countries, Ireland has experienced both the most rapid growth in income over the period from 1991 to 2015 and the biggest expansion of the middle class. This expansion of the middle class predominantly reflects the upward-mobility of Ireland’s working-class. The share of the population in lower-income households dropped from around 27 per cent to 19 per cent over the same period. There is also a lot of moving up and down, meaning that social class – as measured by income – is quite fluid. Revenue, working with tax returns between 2006 and 2016, covering the crash period, breaks down the income distribution into three deciles (bottom, middle and top). The data indicated that one in five people are stuck in the bottom but, in contrast, four in five or 77 per cent of people who were in the bottom group in 2006 had moved up to the middle by 2016. In the middle, there is more mobility upwards (43 per cent) than downwards (36 per cent). And while over half (57 per cent) of those at the top hold on to their position, 43 per cent have moved from the top to the middle. This means that there is what could be called “social churn” in Ireland, where the chances of moving up are very significant but also that the chances of falling back from the top are high too. Social mobility is real in Ireland. Now think of Brexit and its class-based dynamics. Essentially, it’s an alliance of the rich and the poor against the middle class. And the middle class is weak because it was allowed weaken. In Ireland, the middle class has strengthened immeasurably, leading people to vote not for extremes – like Brexit – but for the centrist parties. This is the Radical Centre. It is the social ballast and the product of generations of societal striving. The key difference between Ireland and England is class dynamics and education. A lovely expression of this is the cheese counter at the new artisan Dunnes.